Our Buggy-Fit exercise classes are specifically for new Mums who want to exercise safely, effectively and confidently after birth, with their baby. Aimed at every fitness level, the classes offer ladies a chance to workout outside, with their child by their side. 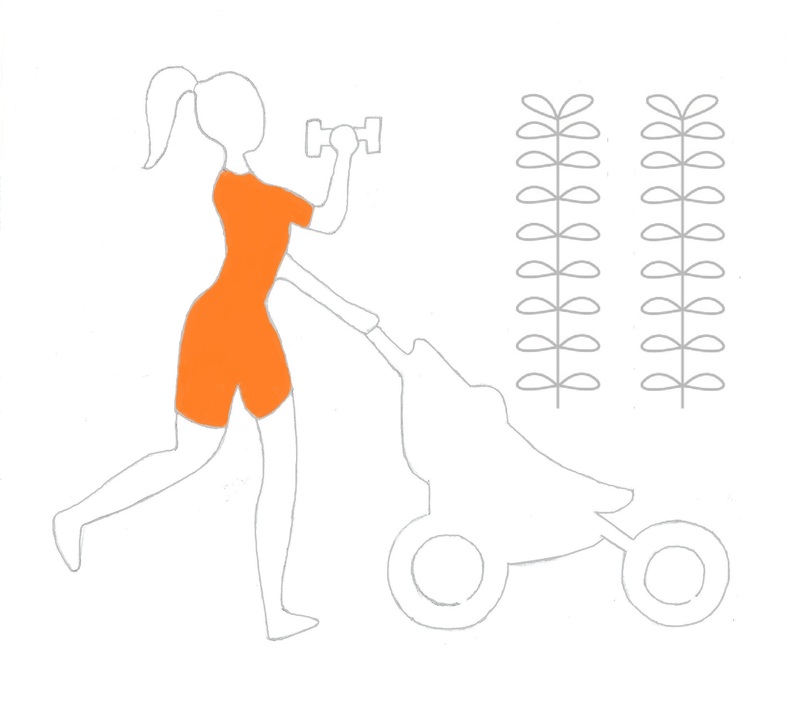 It is important to keep fit after birth, to help your body cope with the physical demands of being a new mum. These postnatal classes include everything you need to improve your fitness levels and get your body back in shape. The classes are run by Lucy, a qualified Pre and Post Natal Fitness Instructor, and a mother of 2 boys. Meet other Mums and share experiences, problems and ideas. Because getting outside and working out really does give you a sense of well-being. Because we all have children and understand the journey you are on. When is it safe to start exercising after birth? If you had a natural delivery, then you can start exercising carefully from around 6 weeks after the birth. If you had a C-section delivery, then it is advisable to wait at least 12 weeks. We always advise checking with your Doctor and/or midwife/health visitor first. Make sure your baby is wrapped up appropriately for the weather. Carry a rain-cover, just in case a shower starts during class. If it does rain, we aim to shelter under trees where possible. For floor exercises, you will need a mat. Nothing fancy, a blanket will do. Just a covering that is big enough to lie down on. Your clothes should be comfortable, stretchy, and layered, in case you get hot. A sensible pair of trainers is advisable (no hidden heel inserts please!). What if my baby is hungry? We understand babies can’t be expected to wait for a feed, and you can feed your child during the class, that’s not a problem. Pay on the day price is now only €5 per class!! Payment can be made in cash on the day. Our first class takes place in Tiergarten on Wednesday 9th April 2014 at 10am. If you wish to join us, please use our contact form to secure a place and we will send you details of the meeting point. I have a health condition – what should I do? We ask all our clients to complete a short Health Screening Questionnaire and registration form before they start exercising with us. Any particular health conditions should be highlighted in this questionnaire and discussed with your fitness instructor. If you have been advised by your GP to take up physical activity, then a medical note is also useful for your trainer.